Shukugawa Sakuraan is a shaved ice cafe located in Aioicho, Nishinomiya that is well-known creating long lines of customers. 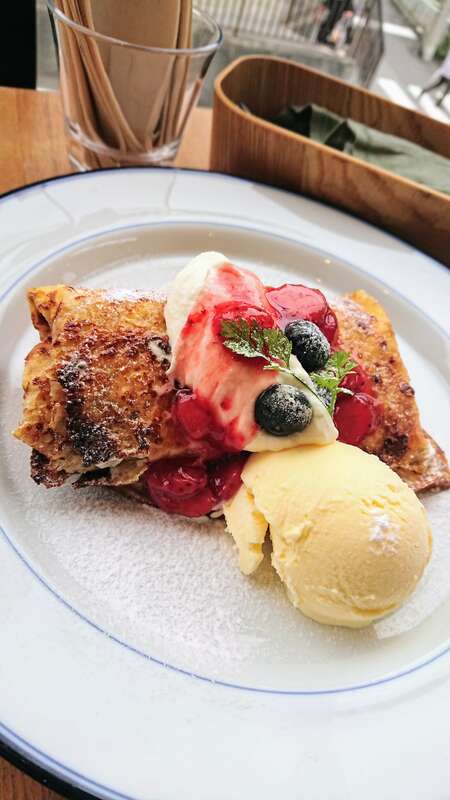 It is changing things up from its usual summertime shaved ice this year and instead serving up its new Marugoto Yaki Ringo fried apple crepes from December 1. It is being released as one of many “ASMR crepes” in Japan for the sound it makes when bitten into. ASMR stands for “autonomous sensory meridian response” whereby visual and audio stimulation trigger tingling sensations on people’s neck, shoulders and skin. Videos attempting to trigger ASMR have become a popular trend on YouTube in recent years. When sliced into with a knife, the Marugoto Yaki Ringo makes a crunching sound like you’ve never heard before. The fluffy souffle and crunchy nuts offer layers of textures to enjoy. It’s also served with high quality fresh cream and a homemade custard cream before being crowned with a whole apple. 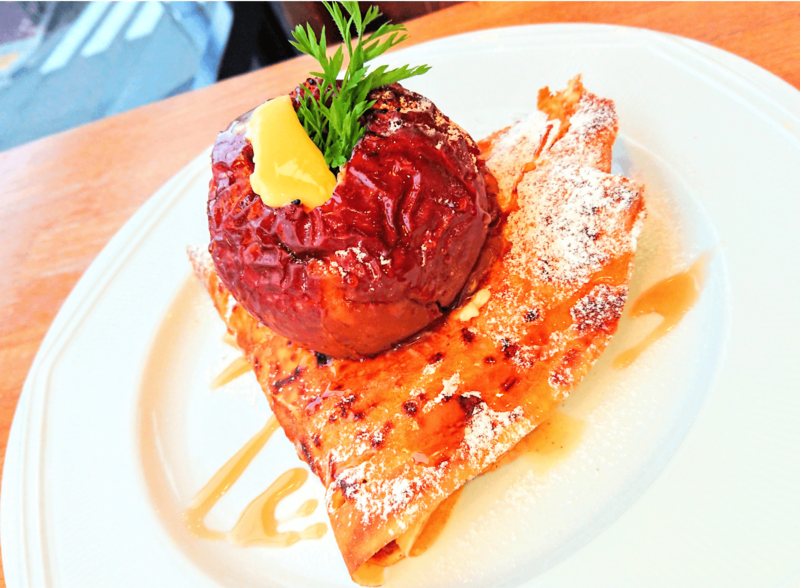 The crepe itself is sprinkled with sugar and fried once more to create delicious caramelisation. To eat this crepe is to eat with all five of your senses, so be sure to hit up Shukugawa Sakuraan! These 8-Layered Mille-Feuille Pancakes Sold at Belle-Ville in Are Super Popular!